This blog (short for Web Log) features information and links to Festool woodworking tools and items that are related to Festool tools which are for sale on the web. Though the Kapex saw won’t even be available until Summer 2008, it’s already popping-up on eBay! The sellers are taken pre-orders, but after seeing what happened when the Domino took the world by storm, this isn’t a bad idea. The Kapex saw is said to be the most advanced sliding compound miter saw in the market today. In hands of a carpenter, this saw will make cuts that rival the finest trim work being done today. Engineered to be the lightweight and compact, the KS 120 is the perfect saw for the work shop or the jobsite. Effective dust extraction, precise cuts, easy adjustments, and quality components are some of the features that should make this saw the number one choice of professional tradesman. With a rail-forward design, the Kapex can be placed against a wall for all cutting tasks. Fine bevel adjustment with upfront controls. coupled with a counterspring mechanism, ensures precise bevel placement. The Flexible and removeable rubber dust hood to the rear of the blade, deflects the chips into the directional port for 91% efficiency. For easier reading and quickand simple angle adjustment. Fastfix mechanism locks the blade for easier changes. Saw blades can be changed in just a few simple steps. Cutting depth 90°/90°: 12" x 3-15/32"
Left/Right 45°/90°: 8-15/32" x 3-15/32"
Left 45°/45°: 8-15/32" x 2-1/8"
Right 45°/45°: 8-1/32" x 1-3/8"
Special cutting depth: 4-23/32" x 3/4"
Dimensions (W x D x H): 28" x 19-3/4" 18-1/2"
This is the Festool that brought Festool its original fame in the USA. With their Plunge-cutting circular saws and the guide rail system you can bring the accuracy of a panel saw to any site. This combination provides laser-straight, splinter-free cuts on both sides of the blade right out of the box. Unlike conventional pendulum-cover circular saws, Festool’s design allows the saw blade to retract into the housing giving you the option to start and end the cut accurately anywhere on the material. All of this innovation means a quicker, safer and more cost-effective precision tool. The dust extraction port ensures less dust and a clear view of the workpiece. Saw close to edges, make pierce-cuts and false joints, and cut to length. For solid wood, fine veneered panels and sheet goods of all kinds, plastic, and aluminum. Comfortable, precise, and safe cuts, thanks to guided saw blade with plunge-cut principle.Quick and easy cutting depth adjustment. Bevel unit allows you to swivel the blade by up to 45 degrees on the guide rail for clean cut edges even on bevel cuts. Detachable Plug-it cord, if the cord gets damaged, just plug in a new one yourself. Rotating dust extractor connector, easy to adjust the dust extraction to suit your work. A spring-loaded riving knife prevents binding, yet retracts automatically into the housing automatically during plunge cuts. MMC electronics with 6 control and monitoring functions, including soft start, constant speed under load, stepless speed adjustment, temperature and current-triggered overload protection. FastFix saw blade changing system for easy blade change. Triple motor bearing, improves running smoothness and extends service life. Zero-play guidance, adjust the saw base on the guide rail without tools. Splinterguard on both sides of the cut, guide rail rubber splinterguard on one side, attachable plastic splinter guard on the other side of the blade. Festool sanders are in a class by themselves. Look at any woodworking magazine’s sander review and they will always praise the Festool sanders for running smooth, quite, and for being wicked-fast! Most feature a wide speed range and torque that is ideal for the task, and the extremely efficient dust extraction that helps to keep the air and the area clean. With 15+ sanders in their line there's a sander that's just right for what you do. Optimum dust extraction through patented Jetstream principle (air flowing out through an additional hole in the center of the sanding pad), abrasives last up to 30% longer. Random Orbit sanders (Or RO) have swiveling dust extraction hoods for unobstructed view of workpiece. Electronic speed control for constant speed under load.VS balancing for smooth running. StickFix (H&L) system for fast abrasives changing. Encapsulated bearing for long service life. I was at our local Woodcraft store the other day, and while my bride sat patiently in the car I rummaged through their router bits looking for just the right one. As I made my way to the checkout I was stopped dead in my tracks by a special that was on an end cap. 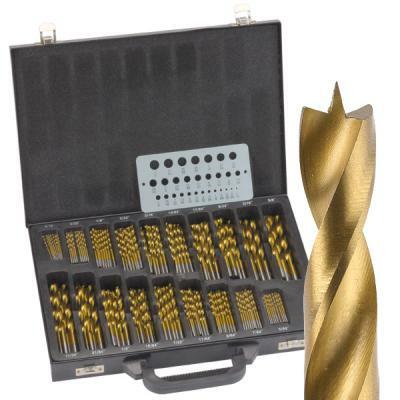 Until the end of October they have sets of 170 titanium nitride coated brad point drill bits for $39! This is 1/2 price, or if you prefer, 50% off. The set has 5 - 10 bits of each size: 1⁄16", 5⁄64", 3⁄32", 7⁄64", 1⁄8", 9⁄64", 5⁄32", 11⁄64", 3⁄16", 13⁄64", 7⁄32", 15⁄64", 1⁄4", 17⁄64", 9⁄32", 5⁄16", 21⁄64", 11⁄32" & 3⁄8"
The set is in a nice box, and it also includes a drill size gauge. I'm not usually a sucker for TiN coated bits, because I've seen too many sets at Harbor Freight where the manufacturer obviously coats the bits that have the worse edges in order to hide their sins. What a scam! They take their scraps and put 50 cents of electroplating on them and charge a premium! Anyway, TiN coatings help to reduce heat on the cutting edge for increased bit life, and this Woodcraft set looks very nice. Sale ends October 30th. Don't ask me why it's not through the 31st. First off, let me get this out of the way: I can't stand things being called the wrong name. This tool is a saber saw, not a jig saw, but I know I'm fighting a losing battle so I'll let it go. The Festool CARVEX PS 400 is a cordless, battery operated saber saw. 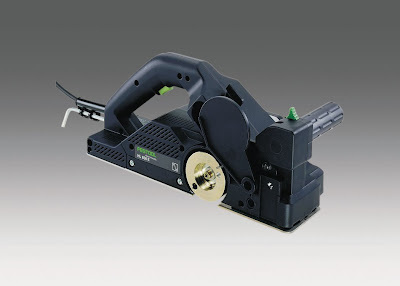 Festool recently introduced a we RO sander with a unique hole pattern. Of course my first thought was "They're trying to make their sander owners a captive audience", but then I saw this video. If this sander can clear its "swarf" (That's sanding dust) as efficiently as this video shows, they'll save you hundreds if not thousands in abrasives over the life of the tool. Yes, it's absolutely true that I need another blog like I need another hole in my head; but that doesn't seem to stop me, does it? 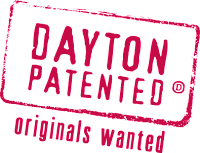 As a Dayton boy there are several local companies that you just know. There's Shopsmith, NCR, Mead, Standard Register, Delco, and more. 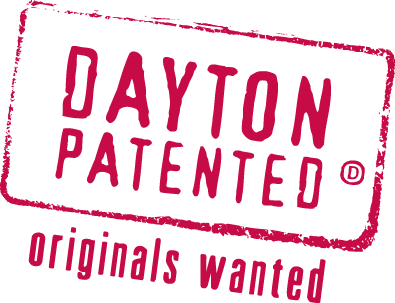 The city of Dayton is even promoting these home-grown companies with a new "Dayton Patented" promotion. As a woodworker Shopsmith stands out as a great supplier of tools, but H. Gerstner & Sons is the pinnacle of craftsmanship. 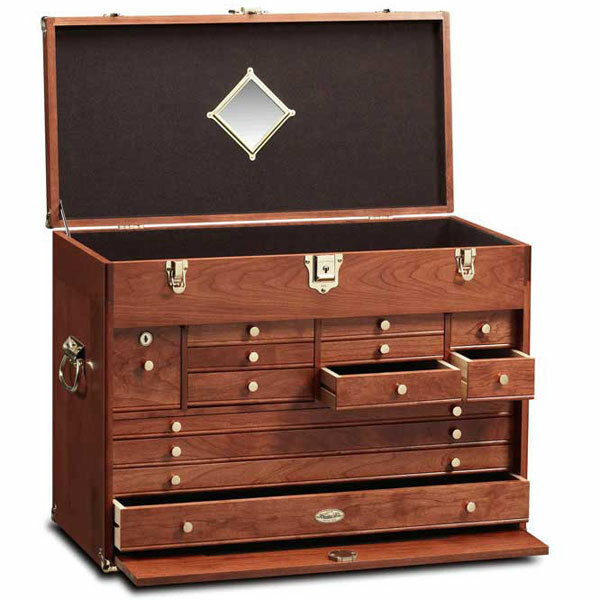 They've made machinist's tool chest from wood since 1906! I've been shopping for them for some time, and like this blog I've started a blog to make it easy for me to store my refined eBay search links and other data that I've collected over the years. Some of the links on the blog will lead to tool chests from resellers like Woodcraft and Amazon, and other links will be to tool chest plans and parts. Drop by http://gerstner-tool-chest-hunter.blogspot.com and check it out. If you found this posting through a web search then you don’t need me to tell you what a cool tool the Festool Domino is. As we all know, creating strong joints in furniture has always been a slow, difficult process. Never again, thanks to Festool’s new Domino joining system. The Domino is often confused as a Biscuit Joiner, but it’s as close to a Biscuit Joiner as a Ford Pinto is to a Lamborghini! The system consists of the Domino joiner (It’s not a Jointer) and pre-fabricated, solid Beech, Domino tenons. The Domino joiner, with its revolutionary cutting method, simple indexing features and adjustable mortise sizing, makes flawless mortises every single time. The Domino tenon is equally as impressive – it’s 100% rotation proof and far stronger than either biscuits or dowels. It also has a large gluing surface area for extra strength. Domino tenons come in five sizes, one perfect for almost any application. The system works on everything from face frames and workpieces as small as 1” x 5/8”, to large projects and heavy furniture. To most American woodworkers the name Systainer and Festool are synonymous. But Systainers are actually not made by Festool, but by another German company named TANOS. Makita, Hoffman, Metabo and others in Europe sell their tools in Systainers, so don’t be shocked if you see Systainers with different names and colors than the classic Festool white with green catches. One of the most unique features of the Systainer is that they can be stacked and latched together using their patented two-position catch. This allows you to carry a stack of tools in one hand, or to clip them on top of the Festool Dust Extractor. There’s even a neat cabinet where you can store your Systainers (and the tools they contain) for easy access in your shop. The Festool MFT Multifunction Tables are strong, sturdy, portable worktables for making clean, sharp cuts and precise angles. 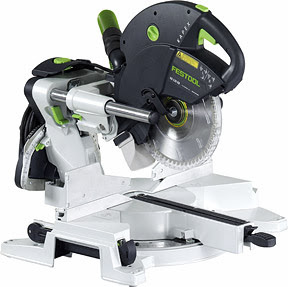 They enable a Festool plunge saw to function as a chop saw, radial arm saw, and miter box. 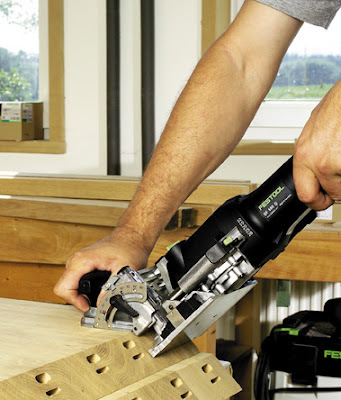 When used with the Festool router and Festool saws, exact repeat operations are performed with ease. HUGE support area for safe and accurate processing of large and small workpieces. Quick and easy setup, breakdown and transport thanks to sturdy foldaway legs. Height-adjustable guide rail, lowers onto the workpiece for safe and dead-on accurate sawing of small and narrow workpieces. Angle stop can be used in any position on the table. This means whether you’re trimming an end or cutting the center, your work is fully supported. Many clamping accessories are available for secure work hold-down. Length stop accessory for registering repeat cuts in production applications. Let’s start with the coolest features: They have a large flat area on top for tools or for Systainer stacking. They have a tool-triggered on-off switch with smooth start-up and shut-off delay whenever you start your tool. They also have a manual on-off switch. HEPA filters filter down to 0.3 micron, and they have replaceable filter bags. Larger wheels provide stability and ease of movement. Locking brake on rear wheels means no accidental movement of the dust extractor. Wet and dry extraction with no complicated conversion. Integrated cleaning device (scratcher) cleans the filter in the blink of an eye. Standard antistatic equipment protects against electrostatic charging. And there’s even a blower port for all your "Blower Port" needs. A unique planer, very quiet and very fast, and if you are so inclined you can even change cutting depth with the planer running. Always a clear view of the rebate edge. Create distressed or rough-hewn effects with accessory heads, or convert into a bench-mounted planer with optional bench unit. - Electronics with 3 control and monitoring functions: controlled smooth start-up, constant speed under load, and temperature-triggered overload protection. If I had to choose a favorite "On a typical project, planers are put through a wide variety of applications - from rough framing to intricate woodworking. No one tool can do everything perfectly, thus no planer can be singled out as the best. But if I had to reveal my overall favorite, I’d have to go with the Festool HL 850 E. Although out of my price range, this planer excelled at trim work and sported the best depth-adjustment knob, safety features, and overall design of the bunch." For example, the C12 is compact, remarkably light and offers all the power, control, torque, and features you need for demanding jobs. It's the lightest 12v on the market and the first cordless drill with a brushless motor! How would you like to lift a pound less each time you drill or drive without sacrificing any power? That's 200 fewer pounds in a typical day. With features like tough, 1/2" collets, these production-grade routers feature double bearings for lasting precision. Fast and precise depth setting, electronic speed control. Very low vibration and ergonomic handle design make even long jobs go easy. Fiber base runner prevents surface marring. Abundant power for any task- Sealed double bearings for rock-steady true running over the life of the tool- Precise 1/256" depth setting, extremely accurate plunge action- Low vibration and ergonomic handle design, for easier use and better results- Light for their class - easy to handle- Controlled constant speed to suit the workpiece material, even under load- Electronic starting control keeps startup smooth and jolt-free- and best of all, they all feature Festool's famous Dust extraction port for clean routing. Here's a great FREE site that will keep you informed if anything new gets posted! You can be the first to know if something new is added to this blog (Or any other site of interest for that matter). Visit http://www.watchthatpage.com/ and sign up for a free account. You can then add any url to your personal list and you'll be emailed should anything change. I've used this site for several years to keep track of changes on one of my favorite sites: http://www.woodshopdemos.com/ which is a site that rarely changes. Test it out with our blog and you'll be the first to know if anything changes! This swivel vacuum base is about as slick at they come. Watch the video for more than I can say here. Festool USA Power Tools is the sole US importer of Festool Air Tools, Circular Saw, Woodworking, Portable Power Tools and Cordless Drills. 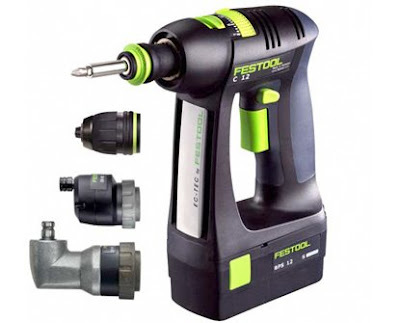 Festool is a German manufacturer of innovative power tools, air tools, tool accessories and consumables. Festool offers portable tools for professional tradesmen in woodworking, carpentry, furniture making, cabinet making, flooring, boat building, painting, solid surface and automotive. Products include plunge router, router bits, dust extractor, circular saw, jigsaw, jig saw, saber saw, saw blades, cordless drill, drill driver, planer, hand planer, sanding tools like random orbit sander and orbital sander, abrasives. 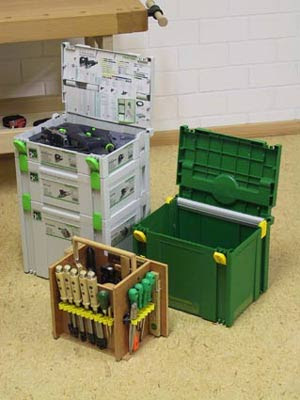 All tools come in Systainer cases, which latch together and form a unique packaging system. 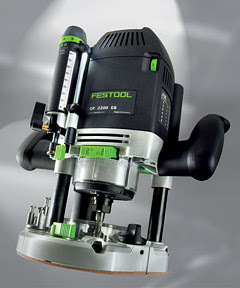 Festool tools are sold by companies like Rockler, Woodcraft, McFeeleys and a ton of local distributors. Festool controls the selling cost of their items; so much so that a retailer can lose their distribution rights if they are caught selling the tools at a discount off the list price. Festool uses in commerce the following names and sells tools in the following catagories: Festool USA, Festool, Festo, tools, power tool, powertool, power tools, powertools, portable power tools, portable powertools, Festool tools, Festo tools, Festool power tools, Festo power tools, Festools, air tools, circular saw, woodworking tools, portable power tools, random orbit sander, cordless drill, dust extractor, dust extraction, woodworking, tools for woodworking, tools, plunge router, jigsaw, drill driver, planer, hand planer, orbital sander, guided circular saw system, saber saw, pneumatic tools, electric tools, cabinetmaking tools, carpentry tools, flooring tools, sanding tools, abrasives, power hand tools, boat building tools, workshop tools.